Winchester is more than just a legend in the world of firearms. Ever since their founding in 1866 they’ve been coming up with new, innovative ways to advance the industry, and although their guns and ammunition are great, they’ve got even more. There’s the Winchester Range, which is open 7 days a week and has a full sport shooting facility. And then there’s NILO farms, which is a 640-acre hunting preserve that can be used for private events and lessons. Winchester doesn’t just make the products, they support the actual sport, and that makes them unique in the best possible way. These are medium-weight 165 grain rounds. They’re light enough to reach good speeds and heavy enough to pack a solid punch. 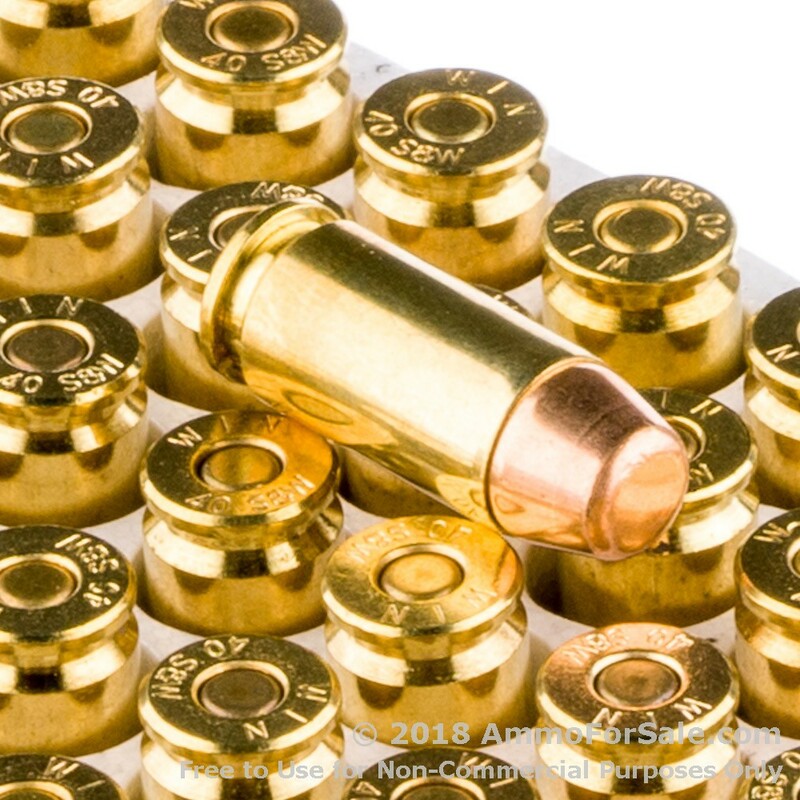 This is Full Metal Jacket ammunition specifically designed for target practice, shootings drills, and plinking; keep in mind that target ammo tends to over-penetrate, so you need a good backstop. Each round flies from the barrel of your gun with a muzzle velocity of 1060 feet per second and hammers home with a muzzle energy of 412 foot-pounds. 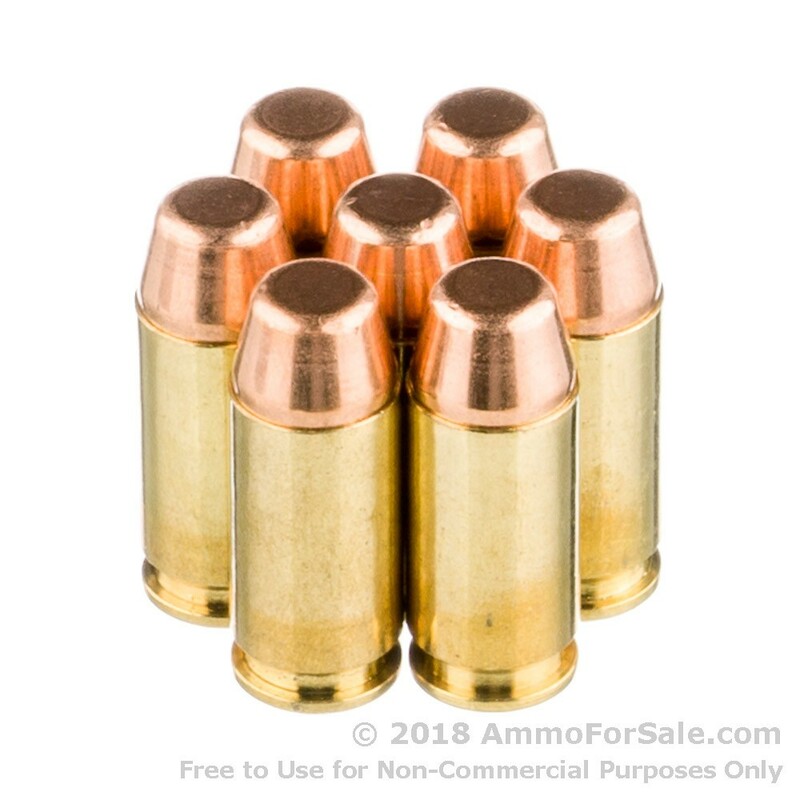 These rounds are new production, brass-cased and are boxer-primed, so you can fire through the entire box, police your spent brass, reload, and get back to the range. 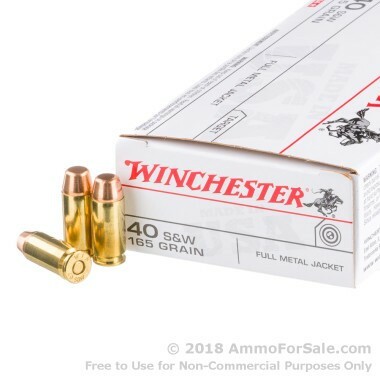 There are 500 target rounds in this box of ammunition from Winchester. That’s a good amount for training and plinking alike, because some days you just want to put holes in pop cans. All of Winchester’s ammunition is made with pride in America just as it always has been and adheres to strict standards. Today Winchester ammunition is produced by the Olin Corporation, a company that has been actively involved with Winchester almost since day one, so the product remains unchanged. If anything, their ammunition is even better. 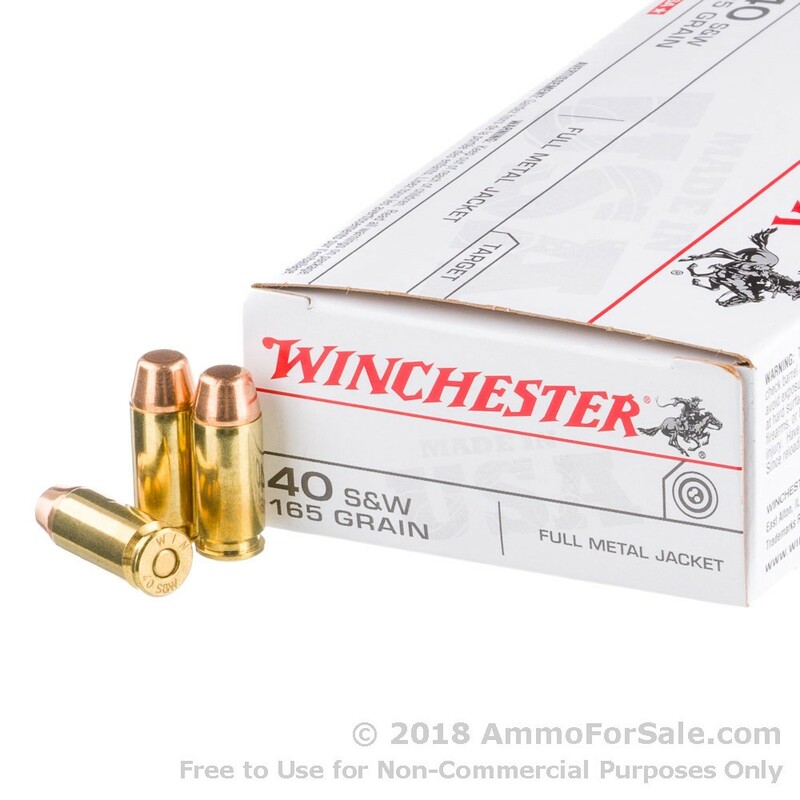 Your .40 S&W is the perfect middle ground between the 9mm and the 10mm, and if you want to give it a substantial meal with high-quality, American-made ammunition, you want Winchester.